PP of Maryland - Baltimore Health Center - abortion clinic license application. Multiple health and safety violations discovered during a Feb. 2013 facility inspection: nursing staff does not have experience or training or competency to administer or monitor IVs or sedation; personnel not competent to perform patient care duties; 1 of 5 staff not trained in emergency transfer of patients to the hospital; 5 of 5 patients missing discharge diagnosis; administrator revealed there is none done on the patients before they are discharged to home; staff not certified in basic life support. 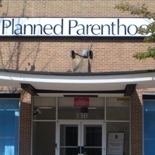 Planned Parenthood of Maryland (at 330 N. Howard St, Baltimore, MD, 21201) is an "interested party" in this lawsuit. See page 4. Balance of 19.2 million dollars. Balance of 18.2 million greenbacks.